Scan-Xpress is a company focused on cost-effective 3D measurement and non-contact scanning, 3D optical probe inspection, and reverse engineering, including 3D modelling for the mining industry. The company’s experienced engineers, metrology experts and industrial designers have more than 14 years experience in the Australian 3D measurement and inspection industry. 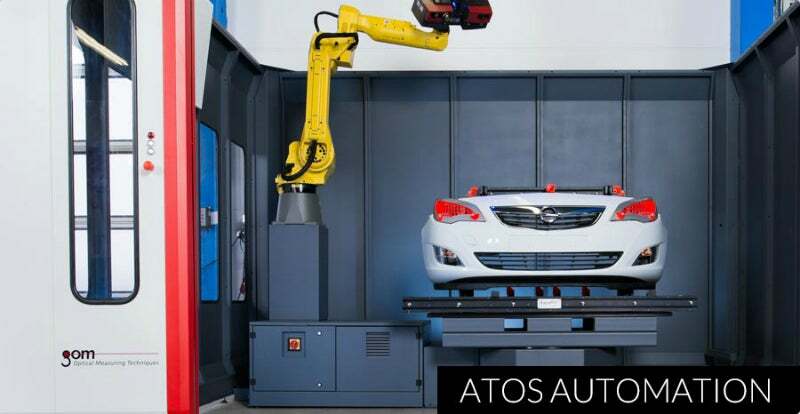 3D scanning measures physical objects and converts data into ready-to-use 3D digital information for downstream applications, such as models, prototypes, tools, or small parts and components. Small, precision, plastic, injection-moulded parts such as bionic hearing implants to large-scale projects such as aircraft, trains and boats can be measured, the difference in scale is huge, with accuracy assured..
All of Scan-Xpress’s systems are easily portable, allowing the service to be conducted conveniently on-site, or in house at the company’s Melbourne-based scanning studio. By utilising market-leading technologies on a daily basis, Scan-Xpress is up-to-date with the industry’s constantly evolving advancements, and offers access to the benefits of these cutting-edge advancements to its clients. Engineers can often find themselves in a situation where they require 3D CAD data for a tool or part, yet none currently exists. If a change needs to be made to a design, this lack of information can completely halt their work. Reverse engineering is the process of generating CAD data for such a part, so work can continue in a timely and cost-effective manner. Scan-Xpress engineers utilise the latest specialist software, which has helped them to successfully scan and deliver designs for hundreds of projects. An in-depth consultative process ensures all delivery expectations are met, so that design work can continue unaffected. Traditional methods of tactile probing and measurement are typically featured coordinate measurement systems (CMMs), which often result in significant inaccuracies when compared to 3D optical measurement systems. Rather than measuring key points, optical measurement allows an entire product to be mapped, allowing for earlier identification of problems. Scan-Xpress measuring systems are portable and easily manoeuvred, making them suitable for on-site inspection, and for even large objects to be scanned with minimal effort. Vital information, such as details of surface defects or impurities, is available to the user immediately, interpreted both visually and numerically. Touch probing is also available for when optical inspection is not possible, due to line-of-site restrictions, or when an entire model does not need to be captured. Scan-Xpress technology allows for rapid acquisition of key points in this scenario, and provides immediate feedback. Scan-Xpress products improve development, production and quality control processes, while also decreasing the overall time spent scanning models. They additionally accurately understand the geometric characteristics and tendencies of scanned parts, accelerated time to market, and quickly respond to market trends. The company’s solutions address issues in research and development, tool refinement and testing, industrial production, and quality assurance. The company’s technology is available to everyone, regardless of industry or specialisation. An ever-increasing and diverse range of industries are using 3D imaging solutions, including the, advertising, aerospace, automotive, consumer products, film and television, marine, medical, mining, and visual arts industries. Scan-Xpress’s customers include large original equipment manufacturers (OEMs) and their suppliers, and private individuals with one-off projects. High-profile clients include BAE, Boeing, Channel 9, Cochlear, DSTO, Ford, Holden, Honda, Invertech, Leica, Toyota, and Siemens.